Speed advantage is one of the most important factors in a game of competitive Pokemon. Optimizing one’s team so that their Pokemon are either faster or slower than potential opponents is essential to consider during teambuilding. To overcome speed issues, teams will often have ways to augment their team’s speed with moves like Tailwind or Trick Room. But what if it’s an even playing field? In that situation, it all comes down to how the Pokemon are individually trained, and sometimes, which Pokemon moving first can come down to a coin flip. There are a few prominent members of the VGC 2019 metagame that are facing a bit of an identity crisis with their ideal speed right now. How fast should you make these Pokemon for optimal success in VGC 2019? Let’s take a look. 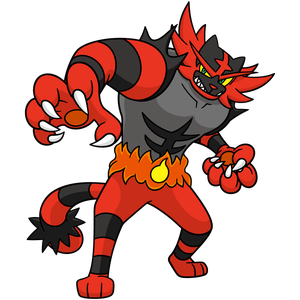 A Pokemon that can never escape VGC metagame conversation: Incineroar. For the longest time (ever since it received the Intimidate ability), Incineroar’s play style has been pretty cut and dry. Fake Out for advantage, Knock Off for getting rid of items, Flare Blitz for damage and U-Turn (or a bunch of other moves) to round things out. It’s that first move that has been the main issue for Incineroar: Fake Out. Since Incineroar is on close to 90% of teams in Pokemon VGC right now, naturally there are a lot of situations where two are on the field at the same time. This can also mean that potential Fake Out is active for each side, and whoever has the faster Incineroar will make the first move. Having Fake Out advantage is even bigger in a restricted Pokemon format, as having just the slightest advantage over your opponent can mean the outcome of an entire set. Whichever Incineroar gets the Fake Out off first likely enables massive damage output from the partner Pokemon or a free set-up opportunity. I’m looking at you Xerneas. It has gotten to the point where speed creeping other Incineroar’s has reached absurd levels of speed investment. Running a speed-boosting nature on your Incineroar is nowhere close to ideal, but with the way things are going, having that faster Fake Out might be more important. I hear Incineroar has a pre-evolution that’s naturally much faster. Speaking of Xerneas, let’s look at its speed dilemma. Xerneas is another Pokemon whose play style is fairly simple: set-up Geomancy and win. The issue lies in whether a player wants their Xerneas to be faster or more defensive. There are pros and cons to both. A faster Xerneas can set-up Geomancy earlier in the turn potentially saving it from being knocked out. However, a faster Xerneas is usually much less defensive, meaning it has lower longevity overall. Having a faster Xerneas also eliminates many potential speed-tie scenarios which can mean safer endgames; but this could lead to potential Xerneas speed ties which are never fun. More defensive investment means Xerneas can take more hits, but it becomes even more vulnerable to prior damage. Being able to survive more hits can be helpful, but what good does that do if your Xerneas has to end up taking more hits overall? And where does Special Attack investment come into play in all this? Believe it or not, Xerneas does actually need some investment in its Special Attack to ensure KO’s even after the Geomancy boost. 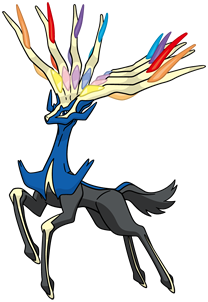 Right now, the play seems to be a happy medium between fast and defensive, but there’s still no definitive Xerneas as long as it has Geomancy. 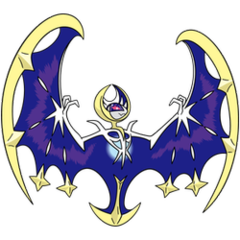 Since we’re near the topic of speed ties, let’s talk about one of the scariest Pokemon to go up against in the mirror match: Lunala. Lunala’s speed dilemma is quite simple. Whichever player’s Lunala wins the speed tie, that Lunala survives. Using faster Lunala has been popular amongst the plethora of Xerneas/Lunala cores that have been appearing all over the metagame, and it’s because of this speed dilemma that we’ve seen the decline of a once great archetype. The once popular Kyogre/Lunala team archetype used a much slower and bulky Lunala that focused more on support than offense. Now with Z Moves in the metagame, Lunala has a guaranteed one-hit-KO on even the most defensive Lunala out there. With Lunalium Z being the most common item for Lunala now in Moon Series, there remains little reason to use this slower variant. While Lunala is one of the most consistent restricted Pokemon out there, it suffers from one of the most terrifying 50/50’s in the game. This one might seem straightforward, but hear me out. Since the beginning of VGC 2019, Choice Scarf has been the best item for Kyogre as having a fast Water Spout can literally sweep through entire teams. Of course, this wasn’t the only way to use Kyogre, as many players have demonstrated that non-Choice Scarf variants can still succeed. 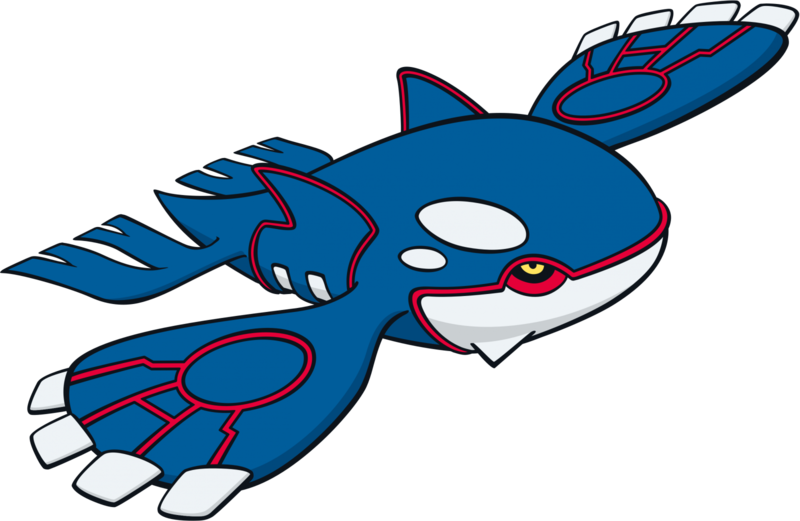 Not having a faster Kyogre can even come in handy in the weather war against Groudon as a slower Kyogre will maintain the weather advantage if the two are sent out at the same time. Now more than ever it is tempting to use a slower Kyogre thanks to Kyogre’s Z-powered, rain-boosted Water Spout being one of the strongest attacks in the game. But many players still prefer Choice Scarf. Choice Scarf remains a high risk, high reward option, but the sheer level of an easy win condition it boasts is hard to pass up. Plus, on teams with Necrozma-Dusk Mane, players might be tempted to use as little speed on their Kyogre as possible in order to take advantage of Trick Room. When in doubt, making sure your Kyogre is as fast as it can be is likely the play. However, even Choice Scarf Kyogre are lowering their speed to compensate for opposing slower variants, which makes the Kyogre dilemma even more tricky. Most players probably can’t wait until Ultra Series where Choice Scarf Kyogre will be forgotten in favor of the Primal reversion. Even though the speed conundrum can lead to a load of headaches, it all depends on one’s team. An optimal team will usually have many ways to ensure that their Pokemon maintain the speed advantage, but in some games, maintaining the speed advantage won’t be possible forever. Unfortunately, speed ties and guessing which Pokemon are faster is just part of the game. What’s even worse about this kind of format is that a difference in speed can result in much bigger consequences.